7 Galleon has been added to your favorites! 7 Galleon has been removed from your favorites! HILTON HEAD ISLAND RENTAL. 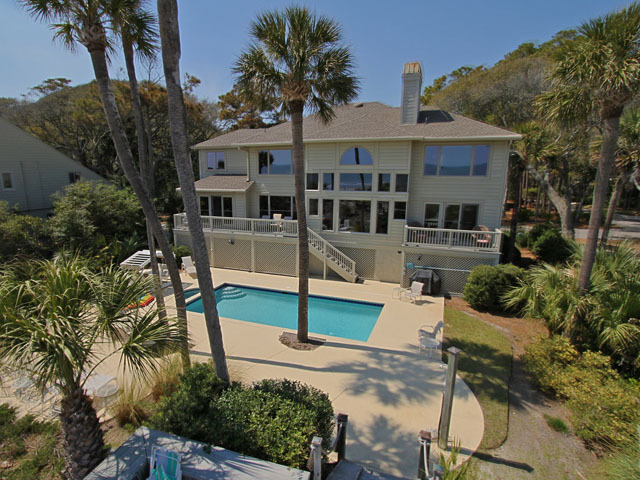 This amazing Hilton Head oceanfront home offers spectacular ocean views and luxurious furnishings. 12 steps lead to the entry where you will find a great room with sectional couch with sleeper sofa, decorative chair, 50” wall-mounted flat screen TV, DVD, stereo, powder room, bar area with a sink, granite, refrigerator, and icemaker. This level has five bedrooms. The first has a king bed, 32” flat screen TV with built-in DVD player, door to the pool area, ocean view, and private bath. The next two bedrooms have queen beds, 32” flat screen TVs with built-in DVD players, and private baths. The fourth bedroom has a queen bed, twin bed, 32” flat screen TV with built-in DVD player, and a private bath. Next is a bedroom with 2 queens, 32” flat screen TV with built-in DVD player, a private bath, and doors leading to the pool and spa. A dual staircase leads to the second floor of this beautiful home. The main living area, kitchen, dining area, and master plus a powder room are located on the second floor. The main living area features a sleeper sofa, matching sofa, 2 decorative chairs, plenty of seating, and a door to a spacious balcony overlooking the Atlantic. The beautiful living room also has a 50” wall mounted plasma flat screen TV with DVD player. The kitchen/dining area features 2 stoves, 2 dishwashers, all stainless steel, granite countertops, and laundry room with full size washer and dryer. There is seating at the dining bar for 7 plus a formal dining table for 9. Off the dining area is a screened porch overlooking the pool and ocean with propane grill. The enormous master suite is furnished with a king bed,32” flat screen TV with built-in DVD player, door to the oceanfront balcony and large walk-in closet. The magnificent master bath has a luxurious shower with body sprays and rainfall showerhead plus a jacuzzi tub. A spiral staircase from the master leads to a private observation loft overlooking the ocean. Outdoor amenities include a gas grill, plenty of seating, and fabulous oceanfront pool and Jacuzzi. *DSL included at no additional cost. Pool and spa may be heated upon request for an additional fee. 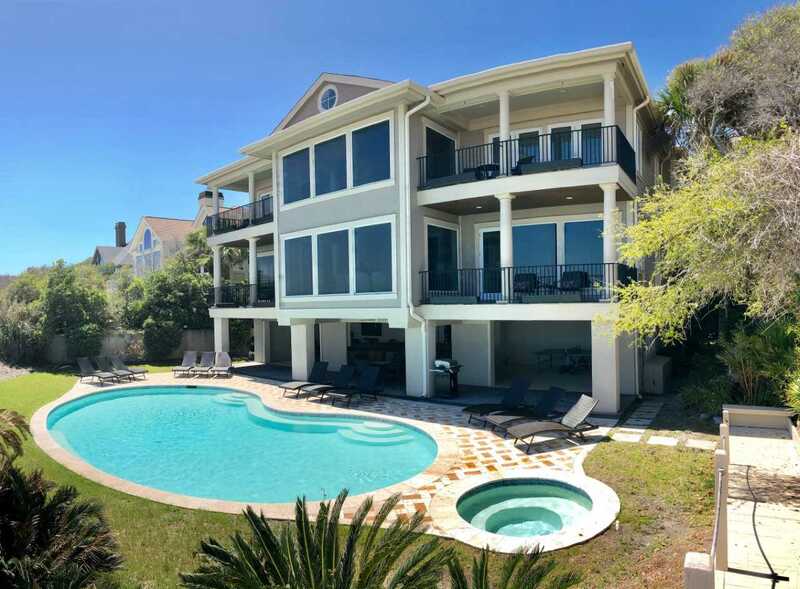 Rent this incredible oceanfront home June 15-22/2019 or June 22-29/2019 and mention this promotion for 10% off the weekly rate! !